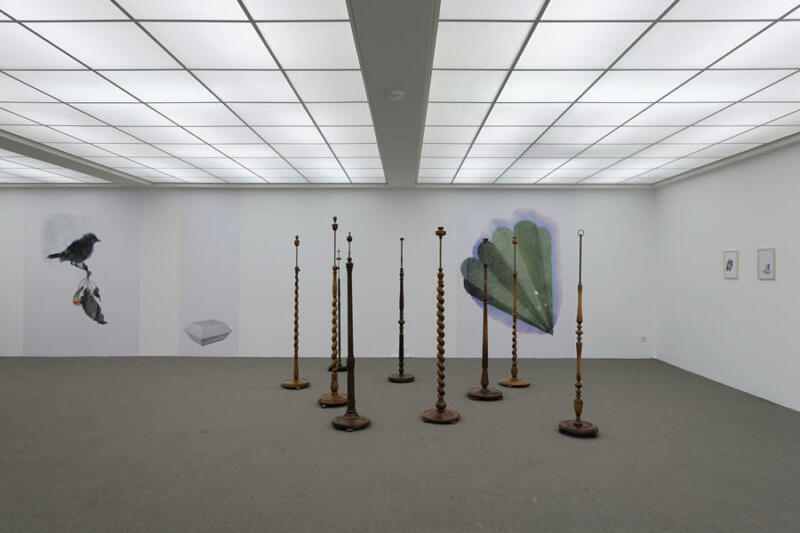 To usher in the fall season, Kunsthaus Baselland puts on the first institutional solo show of artist Nadja Solari (born in 1972 in Langenthal, lives and works in Basel), who attended the Basel Academy of Art and Design and earned her degree in 2005. 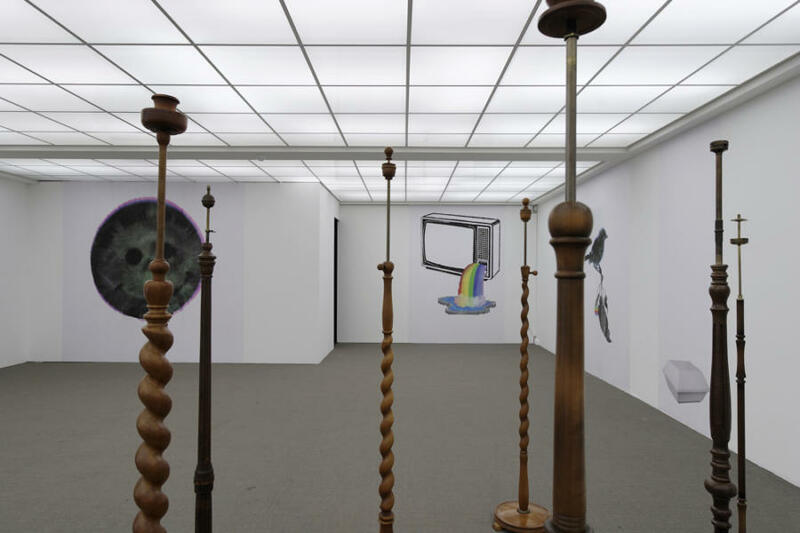 A large number of her works originate from the digital imagery of various Internet sites and archives, and are inspired by objects of everyday use. Photos, prints, and objects that attract her attention serve as the basis of her collages, digital editing, and manipulations. In a mixing and remixing process that can be compared to sampling, Solari selects and compresses original motifs; these then end up in videos, on the Internet, in prints, in material mixes, or in installations. For the exhibition on display at Kunsthaus Baselland, the artist focuses on motifs taken from the rainbow’s end series that she stages as processed, collaged computer printouts on a wall. A television set from which a rainbow gushes forth in the form of a waterfall, a bird perching on a branch complemented by the Apple computer symbol in rainbow colors — all of this alludes to videos, computers, and the Internet. The dotted watercolor-like bitmap prints of her motifs placed on absorbent blotting paper owe their appearance to the potential unleashed by sophisticated graphic design programs. Solari, who earned her degree in art as well as graphic design, blends the questions arising from both disciplines. In the exhibition, the quest for further developing existing pictorial motifs and graphic elements is combined with questions pertaining to the choice of the right medium for presenting them. Arranged base stands of floor lamps are like relics that relate to the function of carrying and holding, and here this function is also meant to include pictures. Reminiscent of human figures, these sculptural ready-mades and exhibition visitors become fully merged with the motifs on the wall, and this gives rise to a unique atmosphere. 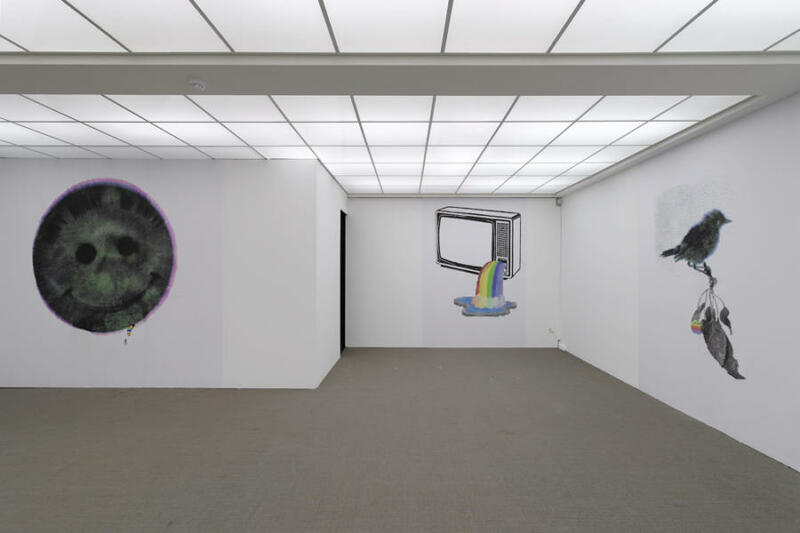 In the attached black box the artist has a monitor-like balloon establish contact with an illuminated neon tube, including its meandering cable. 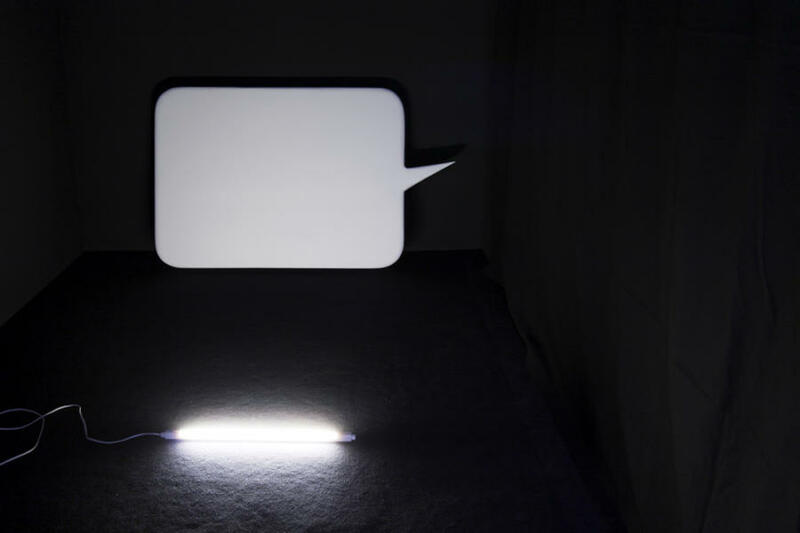 This installation seems to revolve around the failure to communicate, the notion of the inconceivable, and the question of which language should be used for art. Possibly it also addresses aspects of color theory, oscillating between the additive system of the visible world that blends all colors, giving rise to the non-color white, and the subtractive system of the printed world, in which cyan, magenta, and yellow result in the non-color black. Hence, it may be argued that Nadja Solari is looking for the end of the rainbow and for answers to all artistic and philosophical questions it harbors. This exhibition is designed as a laboratory setting to conduct these tests.